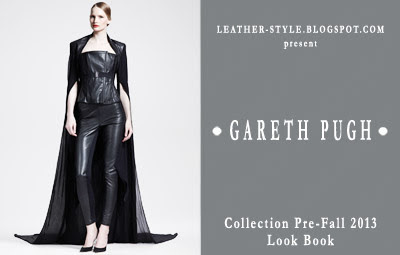 The young British fashion designer Gareth Pugh is known for his peculiar artistic style. In his models include PVC, black & shiny latex, plastic, leather... Determined its fashion handwriting as the "latest addition to a long tradition of fashion-as-performance-art that stretches back through Alexander McQueen, John Galliano, and Vivienne Westwood to the eighties club culture of Leigh Bowery" (Style.com). Are they right? Use your own judgment.